Your older dog is only 1 1/2 years old. To me that is a young dog, barely not a puppy. I think you should be able to keep that dog as an inside dog, as well as the two puppies, if that's what you want. They certainly can spend a huge amount of time outside. Being outside is not necessarily the same as being a livestock guardian where the dogs would need to be close to the animals they are guarding 24 hours a day. If you don't have a fenced yard, then that opens up another discussion. 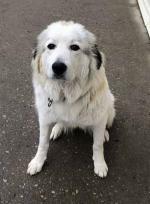 Pyrs wander and roam in order to inspect their territory and you may lose them without a fence and they are subject to being taken by someone or hurt or even killed. I've had eight Pyrs and they all want or wanted to be near me as much as possible, even though they go in and out all day. Good luck and enjoy your dog and your puppies. If they want to be outside, let them be outside with proper shelter/shade/insulted dog house and fresh water at all times. I assume you have a secure well-fenced (6 ft)large area in which they can roam. 1.5 years old is still very young. Again, if she wants to be outside, let her be outside. No transition required. As you know, they do bark to deter predators so presumably you live far enough away that they won't disturb the neighbours. 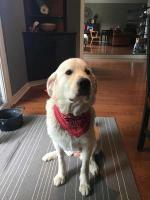 Tie outs are not acceptable for Pyrs since they can become aggressive if they cannot patrol their property as they wish. It's never too late to teach your dogs. Again. 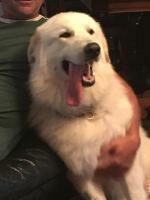 1.5 years old is still a pup in Pyr years. Make sure to spay/neuter your dogs so unwanted pups don't arrive. 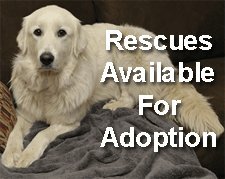 Shelters are full of Pyrs in the States that peope dumped. Many pregnant dogs, too. So, many pups are up for adoption, as well. I am sorry but there should be no such thing! Yes they are working dogs but nobody works 24 hours a day. If you are using them a LSGD I totally get it so after dusk they go out with the flock in the day a little rest in the hallway or reckroom would be nice, in from the heat of the day. Oh I know shade and plenty of water other would say. But if you love the babies why would you not want to spend their off time with them. I know this is a city attitude but I think it is just a dog lover attitude. As to the one you have that is a house dog she will learn to stay outside but wonder why. My advice is strike a little compromise and love your dogs. No. You cannot train them not to wander. Man wanted a dog to wander with their livestock without human intervention. They also wanted a dog who would warn off predators. The bark does that. It's instinct for them. 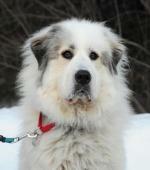 These dogs were bred to be guardian livestock dogs. You cannot and should not try to change who they are. They need a securely fenced yard to contain them. 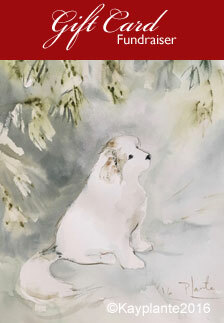 As for the barking, you can manage it with some consistent training. When they bark, see at what they are barking. Tell dog 'it's okay, there is nothing there'. Turn to them and say 'shhh' very quietly. In that moment, dog will stop barking. Say 'good dog', and 'go lie down'. If they bark when outside, bring them in. 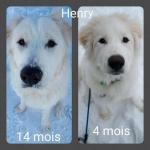 Our Pyr is 14 month female . She was inside for about a month when we got her at 8 weeks. She chose to go outside. She would sleep on our wrap around porch with a cushion and a baby blanket that was my deceased cats. She never started running or adventuring off till about 5 and a half months old. She is on a runner leash and tie outs. We switch her around quite a bit and bring her in a little every day too, but she wants to go back out. She likes the cool ground and the barn and sleeps in the hay. We have fencing supplies now to build her a fence when the weather breaks. Even in the negative temps, we would put her in the barn at night and let her back out in the day. She does not mind the weather at all. She does however get so so hot when she comes inside even with us keeping our heat at 60 degrees. I want to bring her in more but she just likes to hang out a while and ready for a walk or to her barn. I'm still learning the personality , however she's not aggressive or mean at all. She's never growled at anything. We taker her out to festivals into town, to my family's homes. She's very social, even being outside the majority of the time and we have no neighbors. We do airbnb at our house and every guest says she is so sweet. They pet her when we aren't there. 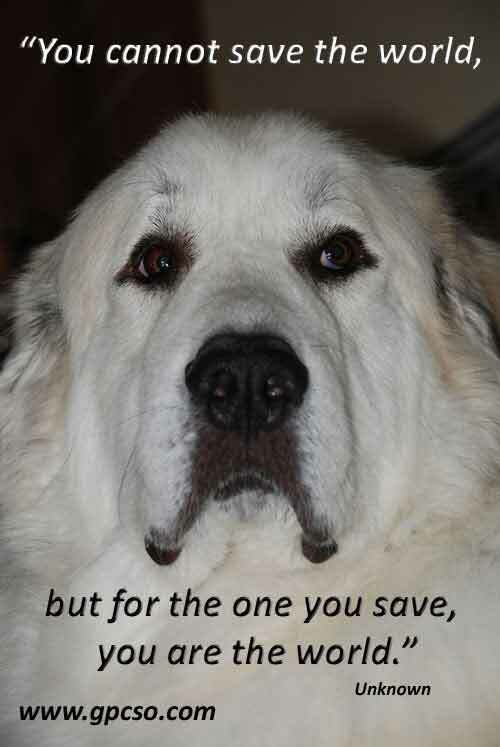 So I think you can have a healthy outdoor pyr who is not a livestock dog. She loves her kittens and shares her food with them. We have 7! I'm just worried about first vacation when we would both be gone!! Seeing as she's our first.